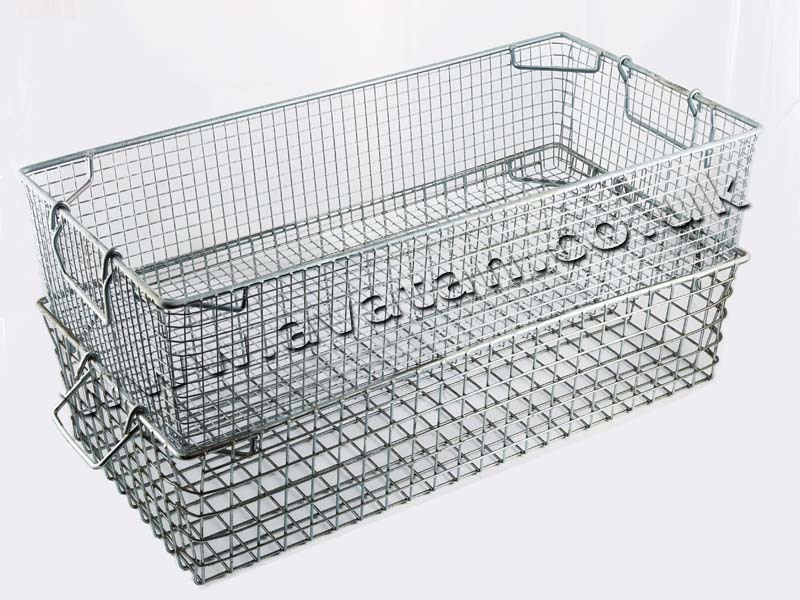 Wire mesh baskets similar to Tote Pans manufactured in standard and bespoke sizes. 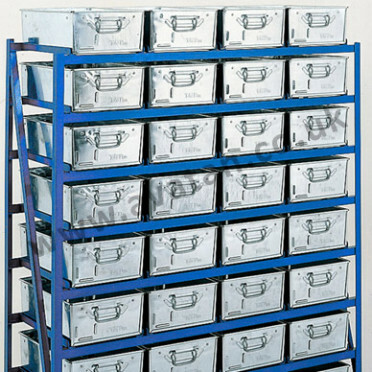 Stackable Work Baskets having lifting handles at each end and strong stacking rim. Finished in bright electro zinc plate. 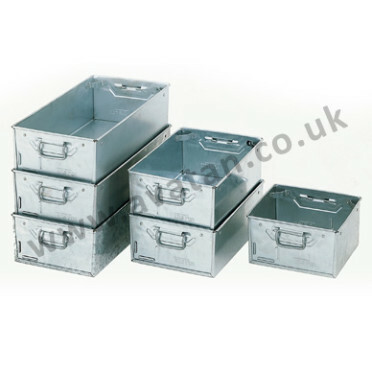 These standard baskets will interstack with our range of steel tote pans.